After more than two decades, the Maghreb Union (UMA) may finally be ready to complete its institutions and compete on a global scale. The popular momentum is there to make it happen, observers note. Especially in Morocco. The [Arab] Maghreb Union offers advantages to every member country involved, economist Najib Boulif told Magharebia, adding that each country would stand to gain by an amount equal to 5-6% of its GDP. “When the flow of trade is increased, monetary union is implemented and the movement of money and people is made easier, this will give a boost to the regional economy,” he said. Morocco’s economy needs to open up more towards other Arab markets, according to MP Lahcen Daoudi. Moreover, he said, the countries of the Maghreb share the same set of values, the same way of thinking and the same language. “It’s a sentimental link. 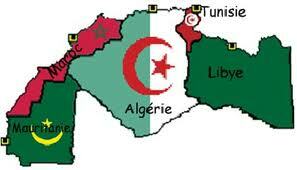 Moroccan identity is made up of several components, including Muslim values, Arab values and Maghreb characteristics. The latter are much stronger and closer to us,” Daoudi said. Despite their similarities, citizens of the Maghreb do not feel as though they belong to the same society when they are in their home countries, Chaabani said. When they go abroad, however, the feeling of kinship emerges. Ahmed Cherrat, a senior manager, echoed that sentiment, saying when he was on business trips abroad, Maghreb citizens got along best with each other. “We feel as though we come from the same region. People aren’t interested in petty politicking,” Cherrat said. Siham Atlass, a student in Montpellier, France said that when she was in Morocco, she was unaware of the degree of cultural and social affinity within the Maghreb. “I knew we shared the same values, but I never imagined we had the same identity,” she said.